Especially for Unseen Amsterdam, iso presents A Really Fake Future, a collaborative project by textile-based designers Karen Huang (TW) and Jason Page (US), inspired by the tapestries of Dutch artist Elma Beks (1926-2014). The project envisions a future where traditional textile handicrafts such as quilting, embroidery and design are replaced by digital representations. 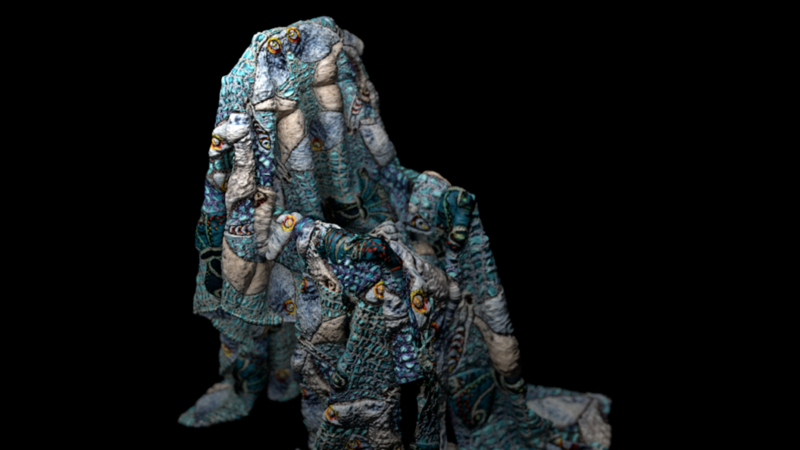 Translating 3D materials to 2D images, the designers question what textile craftsmanship may look like in this future. 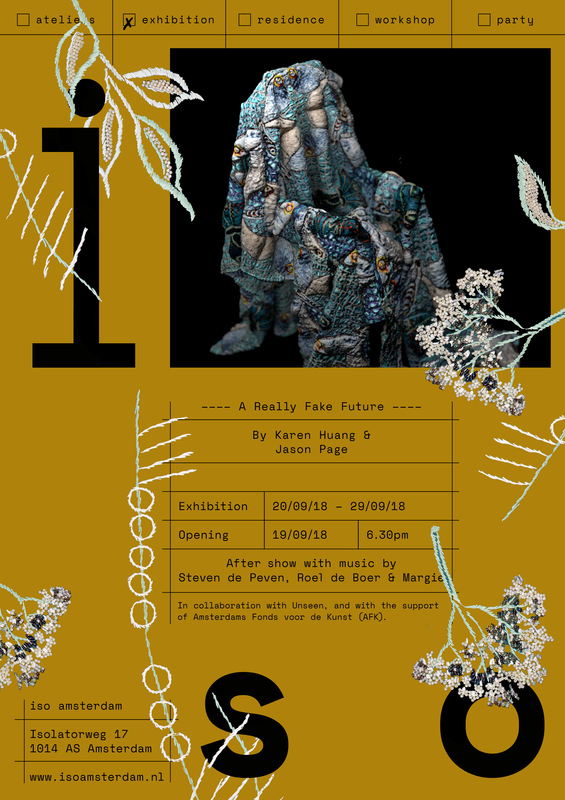 The exhibition A Really Fake Future is curated by Florence Parot, co-founder of iso, and will feature material research in digital image making and textiles. For the exhibition, Karen Huang and Jason Page have investigated various forms of materializing an archive of forgotten textiles, both physically, digitally and at the grey area in-between. Their large-scale woven tapestry looks at how a visitor can experience a body of work through an edited piece of an oeuvre. The five digital sculpture videos explore how digitalized textiles can live new lives beyond material and craft-time limitations. The in-between works created by Huang and Page aim to visualize the conflicts of working with traditional textile handcraftsmanship and a need to produce for the current rapid pace of society. Jason Page (1990) is an American designer who lives and works in Amsterdam. He makes quilts, illustrations, wearables, radio and publications with a ding dong style. Many projects are developed in collaboration. He is interested in how the domestic pastime of quilting can function in the age of social media culture. In his work he uses various forms of patchworking: the joining of two or more sets of materials, information, texts to create new visual narratives. Karen Huang (1984) is a Taiwanese Amsterdam based designer, interested in the connection between fashion and the body, as means of visual manifestation of identity and culture. In her work she develops textile and construct garments as a language in response to the social surrounding that she is in or experiences, while looking for a balance between being accessible to people and challenging their perspectives.